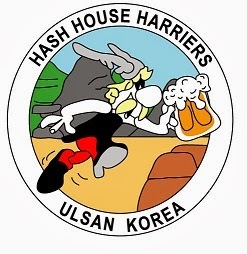 The 469th Ulsan Hash leaves from outside the Foreigners Compound Clubhouse at 10 am Sunday 26th February. The Hare for 26th February will be “Haggis Muncher”. Soup shall be provided afterwards by “Scar”.